Browse the collection of training and educational videos and videos of personal stories. 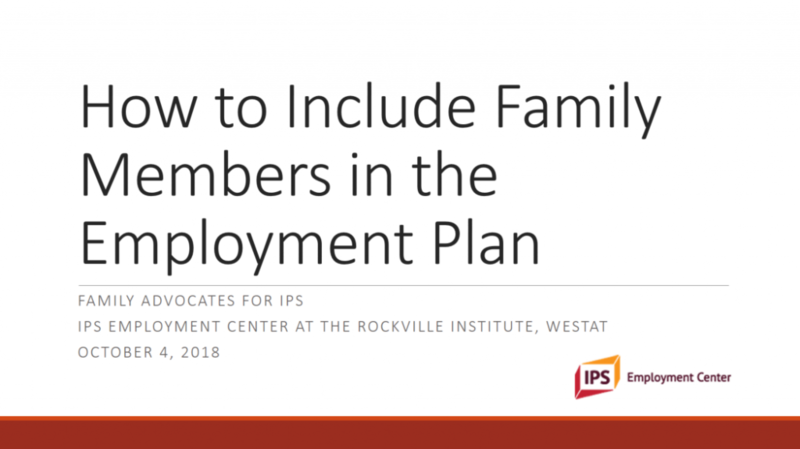 How to include family members in the employment plan. We would appreciate your feedback so that we can design better webinars for you in the future. Use this link to answer our short, anonymous, survey. In this first-person account of returning to work, Jeanne describes how employment helped her recover from substance abuse problems.